Thank you for visiting my information page to discover more about who I am and how I became involved in the health world. I am Gerri Kier and I live in Lafayette CO with my husband Greg and our beautiful yellow lab, Bailey. 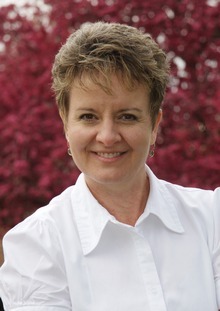 I am a Certified Natural Health Provider – CNHP – and received my education from Trinity School of Natural Health out of Warsaw, IN. 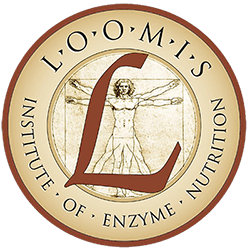 After studying with the Loomis Institute of Enzyme Nutrition in Madison, Wisconsin, I have become a Certified Loomis Digestive Health Specialist. Previously I owned and operated a photography studio and custom frame shop. If you are wondering how in the world I ever moved from being a photographer for 22 years to a nutrition counselor / consultant / coach…well here is the journey. My photo career started in November of my senior year in high school when I photographed my first wedding. (That was 1 week after I turned 18 years old.) I was happily taking photos, mostly weddings, for 22 years and then my body said enough. I had a tremor so bad I could no longer hold the camera steady….clients were no longer buying the line “Oh that is a soft focus affect”. No it was very apparent it was an “out of focus” issue…I could no longer control the tremor. I actually did not notice the tremor when it first started because it was so subtle. The one who noticed it was my office manager and when he inquired about it I had no clue how long I had been dealing with it…health slowly deteriorates and if we are not paying attention things can go bad right before our unaware eyes. Doctors could not find the problem but they were willing to give me a prescription to stop the tremor…I told them no thank you. I was pretty devastated at first to think I would no longer be a photographer. So I called my goals coach, Gary Ryan Blaire, in Florida and we discussed my options. He told me to sell the studio while it still had value and clients booked – this was in February of 2002 – and build my telecom network marketing business. I was still not sure this is what I wanted to do BUT with an extraordinary string of events that literally unfolded the week Gary and I talked - included some physical house issues along with homeowners insurance sending us a letter of cancellation because I had a business in the home - it made it clear to me I was to move on from photography. I put the studio on the market and had several offers so I was settling into the plan of moving on from my life’s passion and career to new undetermined ventures. At first all the purchase offers fell through so I prayed to God for a buyer to come and if not by August 1, 2002 I would shut the doors and part it out. So around the middle of July I received a call from a buyer and we closed on the sale of Visual Impact Photography July 28, 2002. Two weeks later I went to Las Vegas to the network marketing companies conference and they introduced a new nutritional product that helped to build the glutathione in the body. I had NO idea what glutathione was but decided if I was going to sell the product I needed to be taking it. I really wondered WHY a telecom networking company would sell nutritionals but was thrilled they did because it opened the world of nutrition to me. Within 21 days the tremor I had struggled with for over 2 years was gone. I was shocked and amazed and that started me down the road to researching what glutathione was and what was it doing in my body to help me to heal. Five months after my tremor had literally disappeared I started taking nutrition counseling classes with Trinity School of Natural Health out of Warsaw IN. I have a CNHP from Trinity and am currently in the process of completing an intensive enzyme training through Loomis Institute. I am thrilled that I had the courage to walk through the doors that so effortlessly opened along my journey. 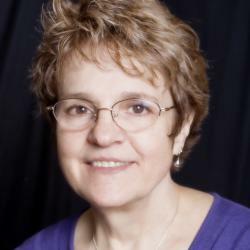 I enjoy working with individuals and families to regain and retain their health. I also have the opportunity to teach nutrition classes to groups of individuals around Colorado and Nebraska. Greg and I are so blessed to be living such a great life. Gerri is a fountain of knowledge in a field which so few of us understand. And, she is personable and easy to work with.